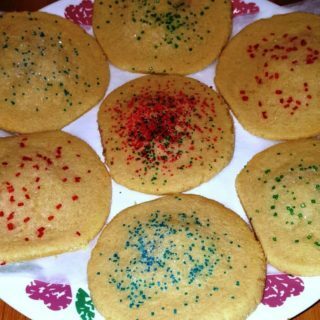 Home » Cooking » Baking » Desserts » Best Old Fashion Sugar Cookies EVER! Best Old Fashion Sugar Cookies EVER! Best Old Fashion Sugar Cookies made with real butter and flour are seriously THE BEST SUGAR COOKIES EVER! They simply cannot be beat. Always start with the best ingredients you can afford. 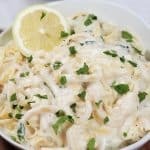 Land O Lakes Butter, Kerrygold Unsalted Butter or Costco Butter are best for this recipe. Brand does matter here. Unbeknownst to me, the hubs once picked up store brand butter and made the cookies although they were good, they were not life changing. I later found out, he use a store brand butter. 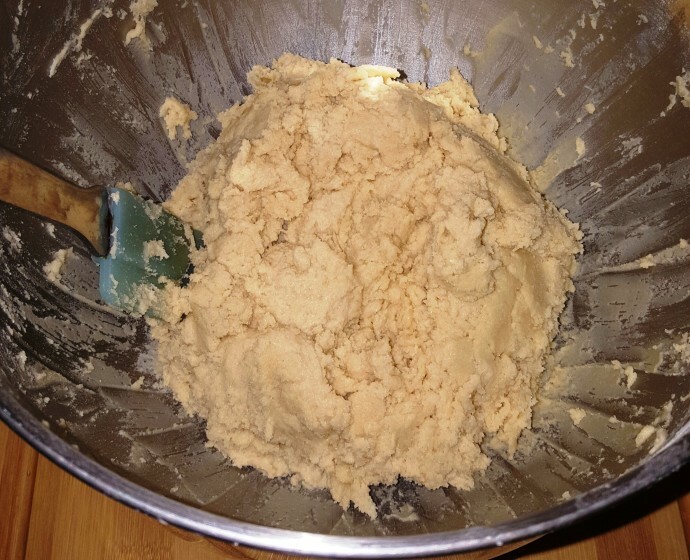 Good Vanilla Extract – a friend of mine brings me back vanilla from Costa Rica, which I feel makes this cookie extra special. We also make our own extra with Beanilla Vanilla Beans. This is an old fashion recipe, so it is important to follow the steps and not throw everything in a mixer and whip. 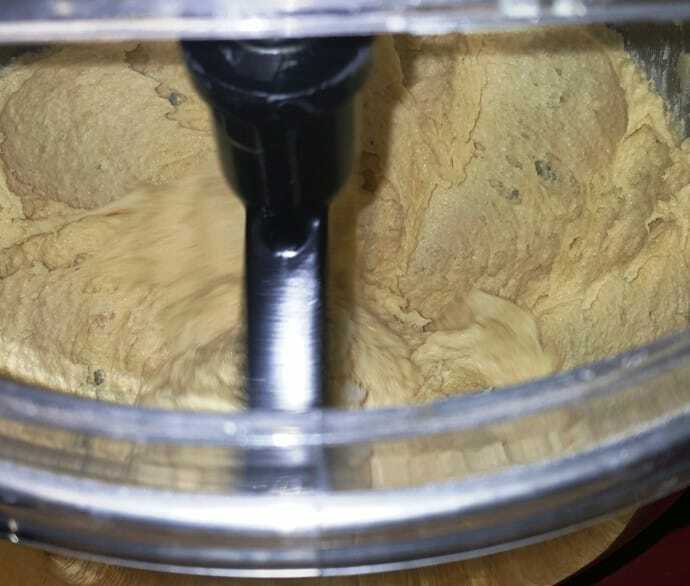 A good Stand Mixer is very help for making Best Old Fashion Sugar Cookies. 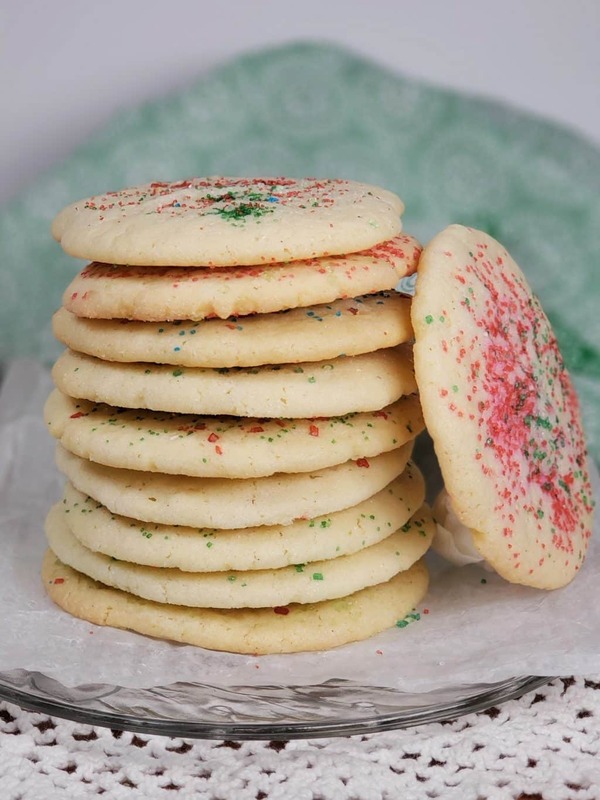 Once you start, you won’t be able to resist these Best Old Fashion Sugar Cookies. I promise. Let me know if you make them. The dry ingredients will get mixed together separately and then slowly added to the wet mixture until just combined. The last part of the mix is done with a silicone spatula, which is not old fashion, but is safer than a rubber spatula, so that you don’t over mix. Refrigerating the dough for a bit, makes rolling easier. Now the fun part, roll the dough into a bowl and then roll into granulated sugar. Place the dough balls on a Half Sheet Baking Cookie Sheet. I like using Silicone Baking Mats instead of parchment paper so that I make less of a carbon footprint. 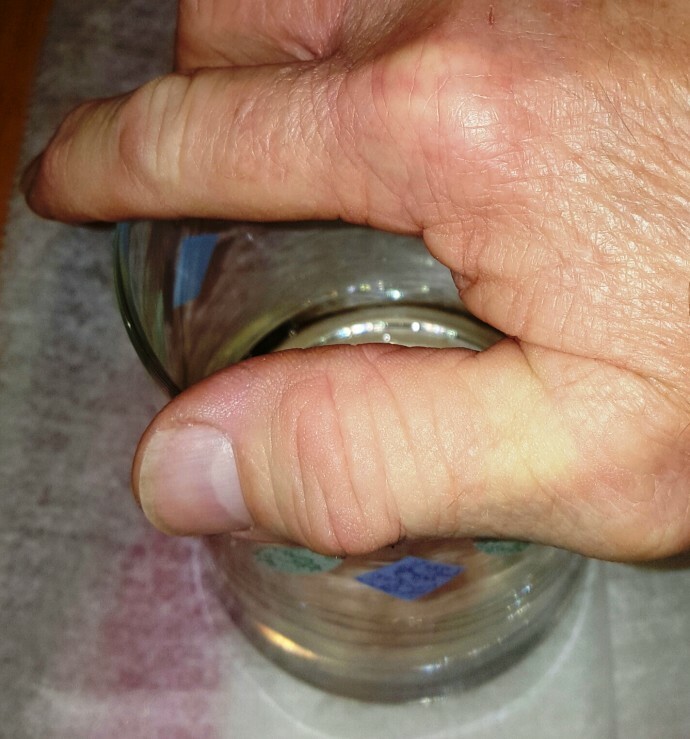 He uses an Old Fashion Whisky Rocks Glass to flatten the dough. 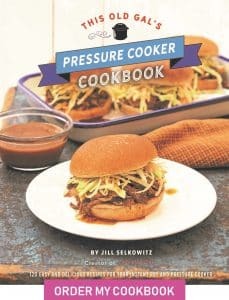 This is a fun project to get kids in the kitchen. Lay out bowls of colored sugar and have them decorate the cookies however they like. He decorates my cookies in blue and white for Chanukkah and he also will make Dreidels and Jewish Stars on the cookies. Bake just enough so that the edges begin to brown, but the centers are still soft and puffy. 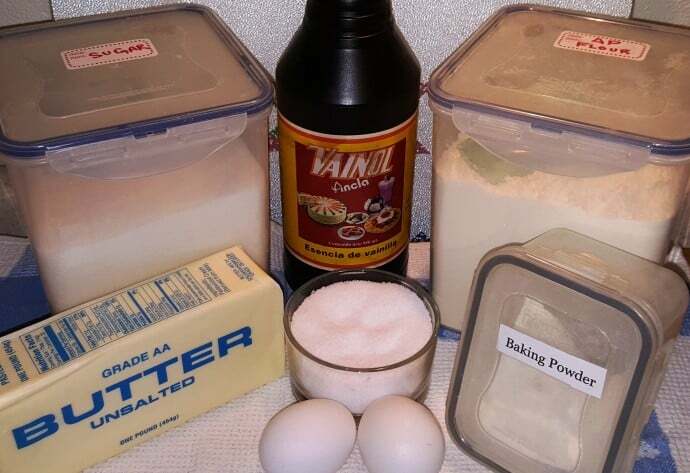 Tips for Best Old Fashion Sugar Cookies. 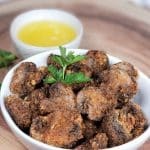 Remove butter from refrigerator 30 minutes prior to starting this recipe. An Old Fashion Whisky Rocks Glass is the perfect size for flattening dough. Refrigerating the dough for 30 minutes prior to rolling, makes it easier to handle. 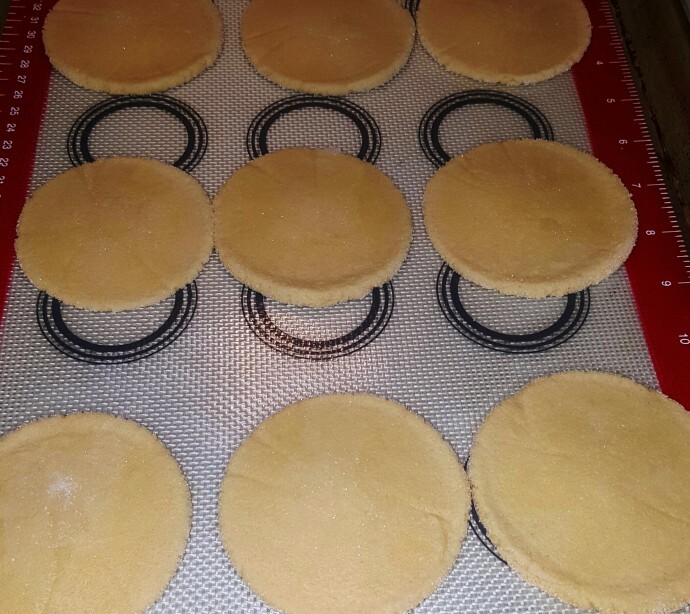 After placing dough rounds on cookie sheet, slightly push down in center of dough to ensure the center of the cookie from puffing up unevenly. For Christmas cookies – use red and green colored sugar. 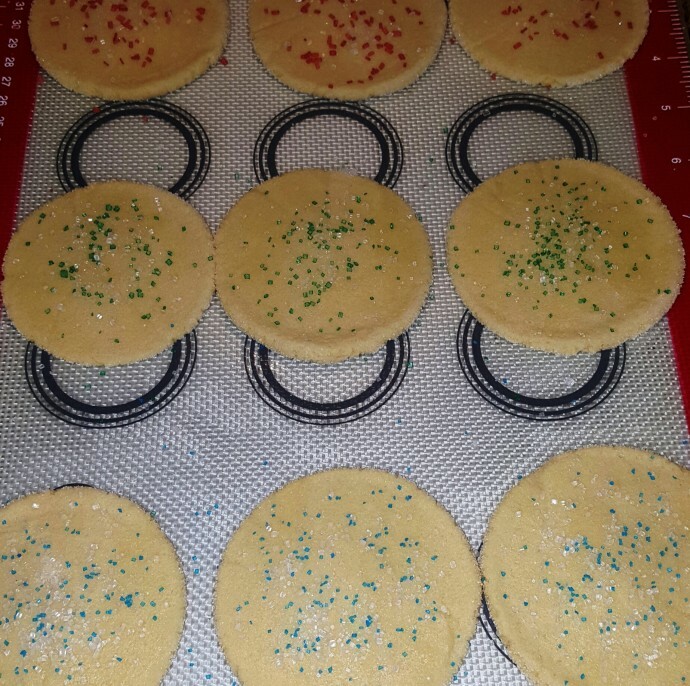 For Chanukkah cookies – use blue and white colored sugar. For Easter cookies – use pastel colored sugar. If they are not the Best Old Fashion Sugar Cookies Ever, let me know. I dare you to try them and not absolutely love them! 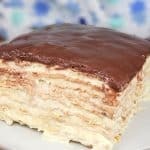 More Delicious Desserts to Make. Adjust an oven rack to the middle position and heat the oven to 350 degrees. Spread ½ cup of the sugar in a shallow dish for coating and set aside. In a separate bowl, whisk flour, baking powder and salt together and set aside. 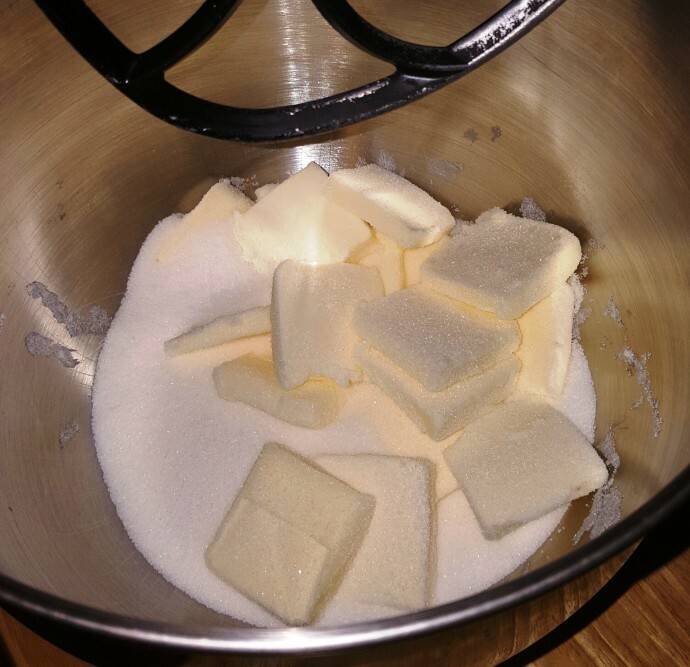 Beat butter with the remaining 1 ½ cups sugar together in a large bowl using an electric mixer, on medium speed until light and fluffy, 3 to 6 minutes. Add the eggs, one at a time, until combined, about 30 seconds, scraping down the bowl and beaters as needed. Reduce the mixer speed to low and slowly mix in the flour mixture until combined, about 30 seconds. Give the dough a final stir with a rubber spatula to make sure it is combined. Place bowl with dough into refrigerator for 30 minutes. 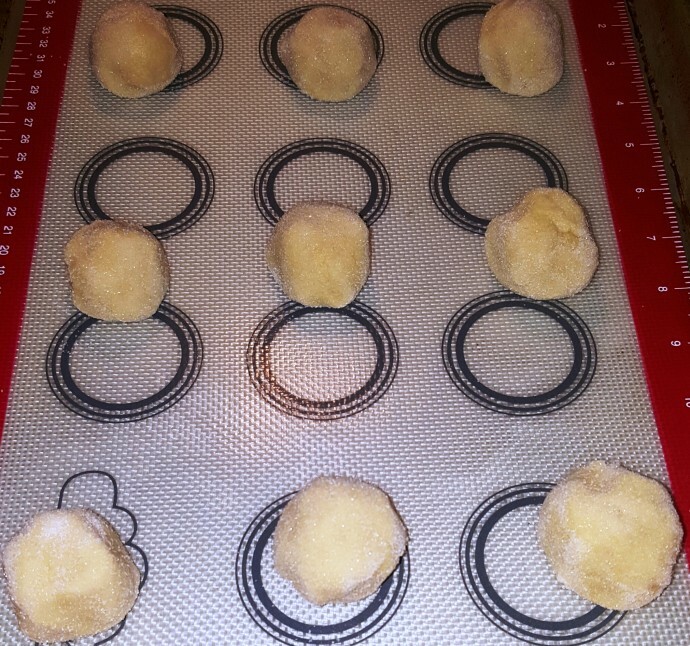 Use wet hands to roll 2 Tablespoons of dough at a time into balls, then roll in the sugar to coat. Lay the balls on two parchment-lined baking sheets, spaced about 2 inches apart. 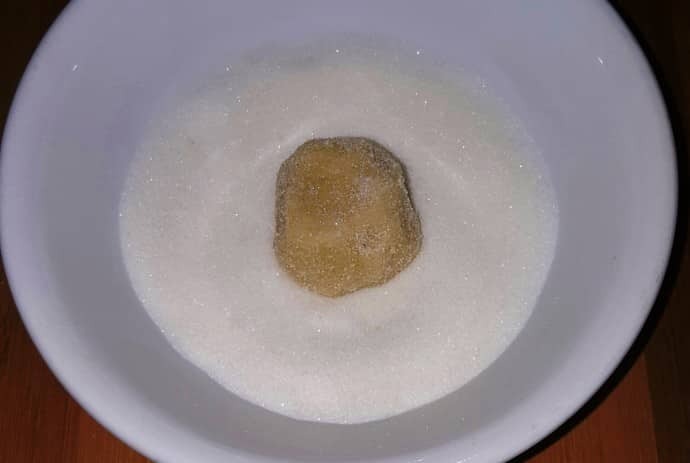 Flatten the cookies with the buttered bottom of a drinking glass, then sprinkle any of the remaining sugar over the flattened tops or use colored sugar. Bake the cookies, one sheet at a time, until the edges are set and just beginning to brown but the centers are still soft and puffy, 10 to 12 minutes, rotating the baking sheet halfway through baking. Remove from oven and transfer to a wire rack and let cool completely. For Lemon Sugar Cookies - Add a Tablespoon of Lemon Zest in with the eggs. For Lime Sugar Cookies – Process one teaspoon grated lime zest in with the ½ cup of sugar for 10 seconds in step 1 and add 2 teaspoons grated lime zest with the eggs. 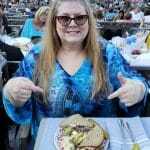 Update Notes: This post was originally published on: January 28, 2016 and was republished with more information, photos and nutrition on November 14, 2016. 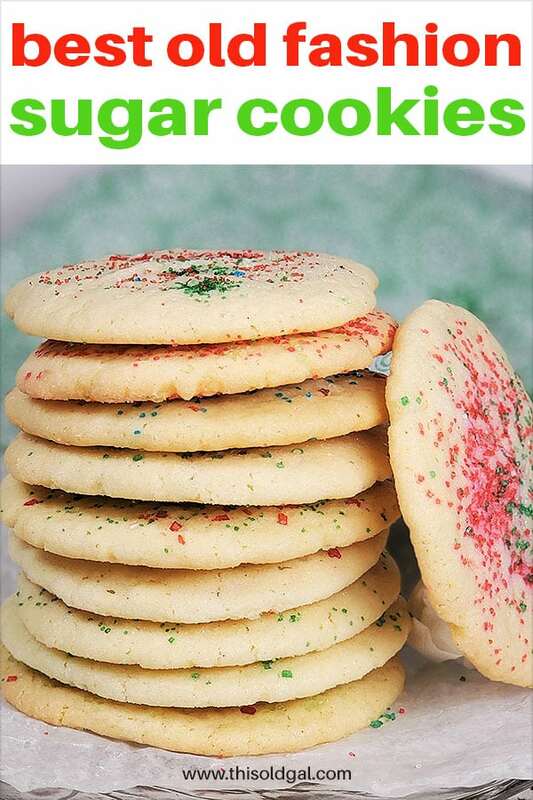 PIN this Best Old Fashion Sugar Cookies Ever! Can you roll the dough and use cookie cutters for shapes? I sweet-talked a coworker to baking these for me the other day! They were delicious. I randomly lay recipes on her desk for tasty treats and they mysteriously appear a few days later! Hi Jill. 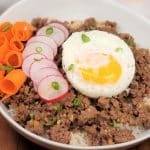 Have you come across a good substitute for eggs? Unfortunately I’m allergic to theme.